Pulire le sarde eliminando la testa e la spina ed aprirle a libro. 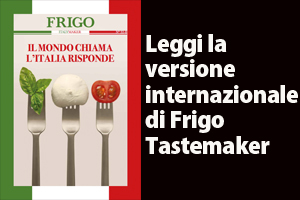 Infarinarle e friggerle. Affettare finemente le cipolle e cuocerle con 4 cucchiai di olio a fuoco molto dolce coperte per circa 40 minuti, finché non diventeranno trasparenti. Salare e pepare e a fiamma alta unire l’aceto, cuocere per pochi minuti e spegnere il fuoco. 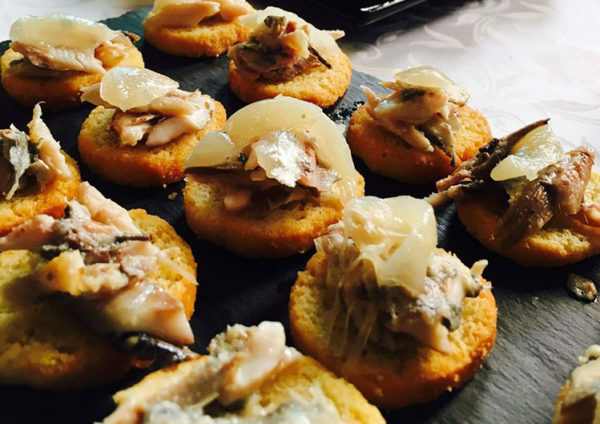 In una terrina fare strati di sarde e di cipolle, fare riposare almeno una notte e prima di servire aggiungere dell’olio. In inverno si usa aggiungere uvetta e pinoli alle cipolle così da rendere la più ricca e saporita. Ingredients: 1 Kg sardines, 1 kg white onions, 1 cup red wine vinegar, vegetable oil, flour, salt and pepper Clean the sardines: remove the heads and the fish-bones. Then open the filets flat, like books. Coat the sardines with flour, fry them and set them aside. Finely slice the onions. Slowly stew the onions in a closed saucepan with 4 spoons of oil. When they are almost ready, raise the flame and let them brown just a bit. Then add the vinegar, salt and pepper and let boil for few minutes. At the end, in another pan, alternate layers of onions and layers of sardines, ending with the onions. If necessary dress with oil mixed with little vinegar. In winter, Venetians used to add raisins and pine nuts to the onions, in order to make the sauce richer and tastier.